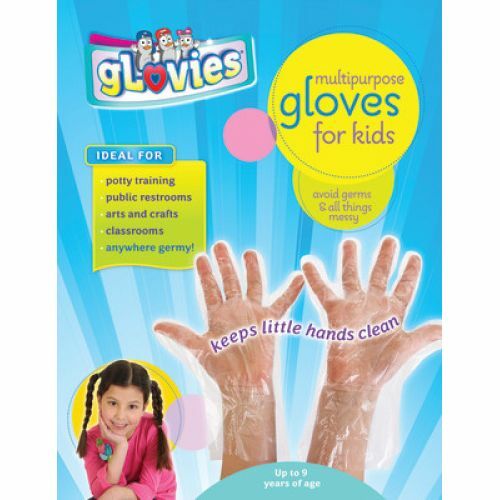 Manufacturer: My Mom Knows Best, Inc.
Stay mess free during craft time and protect your kids from all things germy with these Multipurpose Glovies. Perfect for keeping little hands clean. Latex-free. Features: Disposable, non-biodegradable transparent Glovies with an embossed surface for better grip. Ideal for potty training, public restrooms, arts and crats and classroom projects! Saves Time for Clean Up - Throw the Mess Away!